I have heard of stories of the Japanese conducting night aerial operations as early as the Guadalcanal campaign without the aid of radar while the Americans really didn't do anything until almost a year later with radar. How were the Japanese able to fly at night and conduct raids and reconnaissance while the Americans appear to be mostly grounded? However, night fighting had certain potential that was favored by Japanese. It allowed attacker to bypass certain strong defenses (fighter aircraft, long range artillery both on land and on sea) that would decimate his forces during daylight. It also reduced effectiveness of observers, thus increasing chance of surprise. Since Japan planned offensive wars to increase size of Empire, and since potential adversaries (US and Great Britain primarily) had advantage, both in treaties like Washington Naval Treaty and in real size of forces and in industrial might, night tactics were one of unorthodox ways of fighting that could mitigate that advantage. To this end, both IJA and IJN, with their corresponding air services, planned and used night attacks in WW2. Without going into much detail, IJA used night attack in Singapore, Guadalcanal etc ... IJN also prepared themselves for night battles, using superior optics, long ranged torpedoes and of course training. Their biggest success at night came at Battle of Savo Island, shortly before US advantage at radar technology negated any Japanese advantage. In a recent attack on a U.S. Navy surface force, Japanese medium bombers approached during darkness, in 2 formations of 12 planes each. One plane detached itself from the formation and flew parallel to the course of the ships on one side, for a distance of 5,000 yards. During this run, it dropped float flares at intervals of about 600 yards. The plane then flew about 5,000 yards across the course of our ships, to the front, and dropped a second line of flares at approximately the same intervals. Finally this plane dropped a red flare and a green flare abreast of the formation and outside of the parallel row of flares. The principal tactical problem confronting the carrier task force is defense against night aerial torpedo attacks. During December over 90 percent of all Japanese offensive aerial effort in the South and Central Pacific occurred at night. In all this effort Japanese didn't use any special technology unknown to US. Instead, they first and foremost trained their bomber and torpedo aircraft crews in night navigation and instrumental landings. This may sound trivial today, but most of pilots (especially fighter pilots) during WW2 simply didn't posses these skills, as they were deemed to complicated and time consuming to learn (and the need for pilots was great). Japanese also used moonlight and preferred to attack in the nights with clear sky and full moon. Finally, they often sent dedicated planes to illuminate targets with flares before the main attack. None of this was revolutionary, but when combined and well trained it would enable Japanese pilots to have an edge in combat. Why were the Japanese so much better at night flying early in WWII? The nature of the Japanese "effectiveness" with regard to their nighttime raids is measured with a different metric than daylight air raids. Japan's goal of night time raids in 1942 on Guadalcanal wasn't to inflict damage upon the Marines, so much as they were to just keep them awake and harass them. 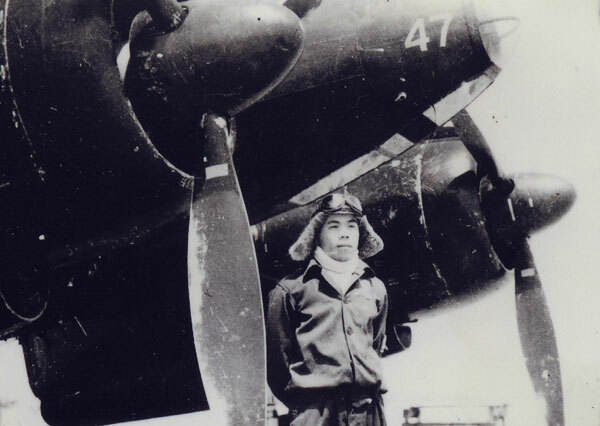 Japan used small raids comprised of a single aircraft, with a purposely loud engine, nick named "washing machine Charlie" for the sound of his engine, and they would routinely fly over US position and drop munitions at random times through out the evening. The damage from the bombs weren't the metric used when judging these raids value, but rather it was the level of harassment on US forces. Early attempts by the US using daylight fighters like P-38s and search lights proved ineffective to combat the Japanese night time annoyance attacks. The US developed night time fighters with the aid of radar and British assistance and deployed them in 1943 and they were very effective in sweeping the skies of the psyops bombers. So that's your answer, from the stand point of inflicting damage on the enemy the Guadalcanal nighttime raids weren't very effective. From the stand point of psychological warfare, harassing the marines around the clock, and keeping them awake one would have to say they were quite effective. Effective enough that the United States began to develop equipment and tactics in response to combat these nighttime raids. The US requested assistance from the British who had been conducting night time operations in Europe for some times by 1942 in this pursuit. Early in the war Britain had more experience in conducting night time air operations. This is because early in the war day light operations over Europe were too costly motivating Britain to investigate and commit resources to nighttime operations. So it was with the Japanese too. After the Battle of Midway June 1942 Japan began to lose dominance of the air and sea they enjoyed since Pearl Harbor. Beyond Guadalcanal's "washing machine Charlie", Japan developed night fighters as they perceived raids at night to be less costly. The US too was developing night fighters though by this point, and as you say the US night fighters ultimately, had better radar.